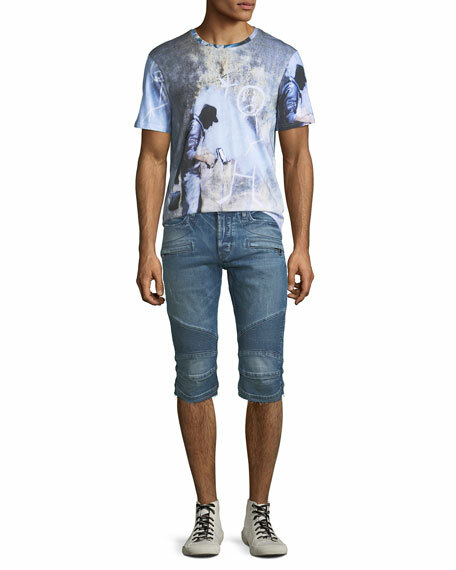 Hudson "The Blinder Biker" jeans in Leverage medium blue wash denim with whiskering and fading. For in-store inquiries, use sku #2598516. 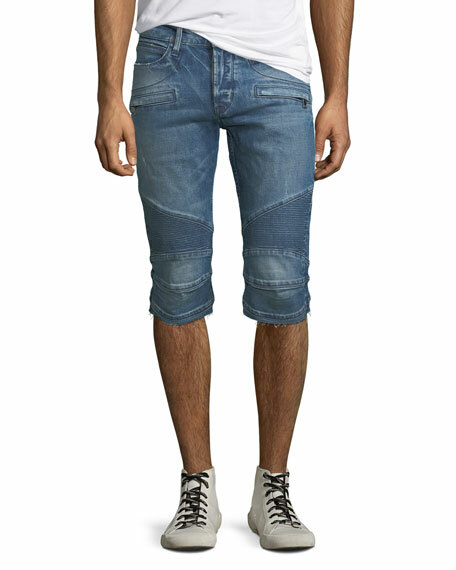 Theory "Evan Bayliss" shorts in printed stretch-twill. 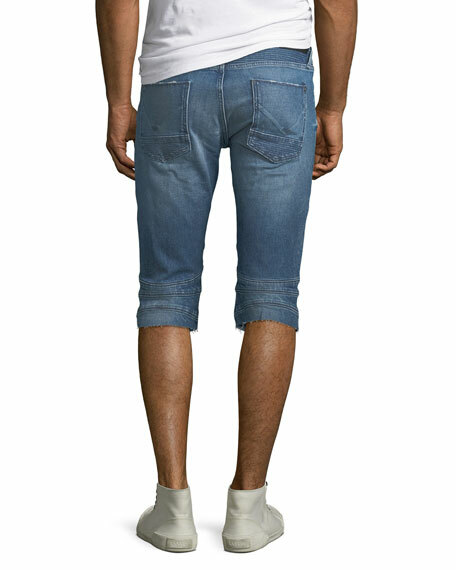 Side slash pockets; back welt pockets. Regular rise. Flat front. Slim fit; straight leg. Button/zip front; belt loops. Cotton/spandex. Imported. Model's measurements: Height 6'1"/185cm, waist 32"/81cm, typically wears size M.